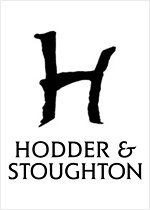 Our story began in 1868 when Hodder & Stoughton was founded by Matthew Henry Hodder and Thomas Wilberforce Stoughton on Paternoster Row, London. If you are looking to get your book published, regretfully we are unable to accept unsolicited manuscripts at the moment. We recommend that you look for an agent who will be able to help edit your work and represent you when submitting your book to publishers. You can find listings for literary agencies, including information on the genres of work they accept and the kind of authors they represent, in the Writers’ and Artists’ Yearbook published by A&C Black or The Writer’s Handbook published by Pan.